A man has been arrested amid a police search for four young men who all vanished in the span of just three days, potentially as a result of ‘foul play’. The FBI joined local officers in desperate searches underway on Monday for the four missing men identified as 22-year-old Mark Sturgis; 21-year-old Tom Meo; 18-year-old Dean Finocchiario; and 19-year-old Jimi Tar Patrick. Patrick was the first to disappear, having not been seen since last Wednesday. The other three all went missing on Friday. Investigators were searching a number of properties, including a corn field and an adjoining property at the farm in Solebury Township, and are chasing down a number of ‘fast-developing leads’. The leads are incredibly hot, they’re very fruitful. 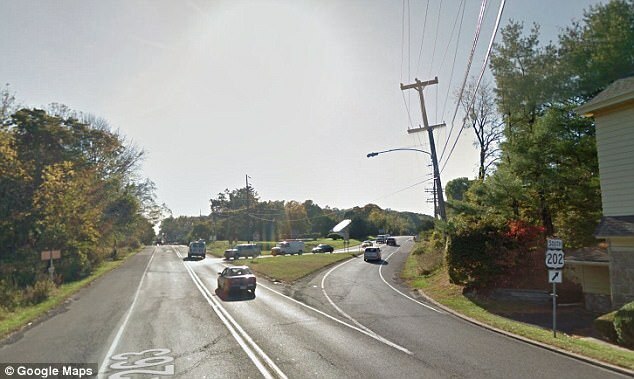 We’re making great progress, but there’s so much more work to do,’ Bucks County District Attorney Matthew Weintraub said during a press conference on Monday afternoon. Cosmo DiNardo, 20, was taken into custody on an old weapons charge Monday afternoon and is being held on a $1million bond. His parents own the farm property that seemed to be at the center of the search. ‘We’re not going to rest until we get through every inch of that property,’ he continued, before adding there had been ‘a lot of strong indications’ suggesting investigators should focus on the farm property, Foxe reports. Weintraub explained FBI officers had been called in to join the search because of their expertise in recovery operations underway at the farm. The DA closed the press conference by telling reporters while he hopes the four young friends are still alive, he described the search effort as like looking for ‘needles in a haystack’. ‘I don’t know how this is going to end up, unfortunately, but I am confident that we are going to get to the bottom of this,’ he said. The farm is owned by Antonio DiNardo, 46, and Sandra DiNardo, 47, the Philadelphia Inquirer reports. The newspaper added the couple’s 20-year-old son, Cosmo DiNardo, was taken into custody Monday afternoon on a firearm charge from February and he is currently being held on a bond of $1million. The charge is not related to the disappearances. DiNardo was taken into custody at one of the other properties being searched, which is where he lives and is owned by his family. He explained to the Inquirer how he first became concerned when his son and Meo did not show up for work on Saturday morning at his construction business. ‘I thought maybe they had a night of drinking and slept somewhere… that was my hope,’ he told the newspaper. Authorities are working to determine if there is a link between the four men who disappeared, aside from the fact they are all friends. Earlier, a friend of Meo’s, Amb Ro Clark, revealed in a Facebook post there was additional urgency to locate the 21-year-old as he is diabetic. State police, along with detectives from Solebury, Middletown, Newtown, and Buckingham Townships, as well as police dogs, executed a search warrant at a home in Solebury around 7 p.m. Sunday. Potash said Meo’s car was found in the garage, near the property where police focused their search Monday. He was last seen around Routes 202 and 263 near Doylestown on Friday, she wrote. Law enforcement officials are seen blocking off a driveway at one of the properties being searched. 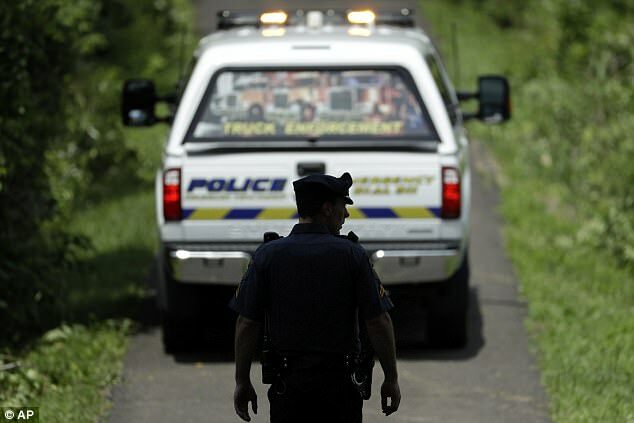 Police executed a search warrarnt at a home in Solebury on Sunday night about 7pm as part of the investigation. Officers had been led to the town after Sturgis’ vehicle was found in the parking lot of the local Peddler’s Village shopping complex, while the vehicle of another of the missing men was found near the house they executed the search warrant, family say. ‘Obviously right now we’re treating this as a criminal investigation but nobody is in custody and the search is ongoing,’ Bucks County First Assistant District Attorney Gregg D. Shore said Sunday night. Kenny Bobby added that his nephew, Sturgis, drives a silver 2005 Nissan Altima with Maryland plates, has a dent by the gas door on rear driver side and a broken driver door handle. He urged anyone that spotted the car or had any information to come forward.